Sherwood Inn weddings in summer, winter and now fall – with Kate-Lynn and Mike letting me tag along I’ve now hit for the season-cycle at Sherwood! The day was made a little extra special as they had actually met through a mutual friend 7 years ago to the wedding date – October 13th. Mother Nature threw her best rain/sun change-ups at us however it never seemed to get anyone down. Kate-Lynn and Mike’s band of merry wedding goers laughed, cheered and danced the night away. At one point the ceremony changed locations twice due to rain, yet Sherwood Inn staff (special shout-out to wedding coordinator Christina!) made sure everything ran smoothly and helped keep the happy couple’s dream of an outdoor ceremony alive. Sherwood Inn main lodge in fall. 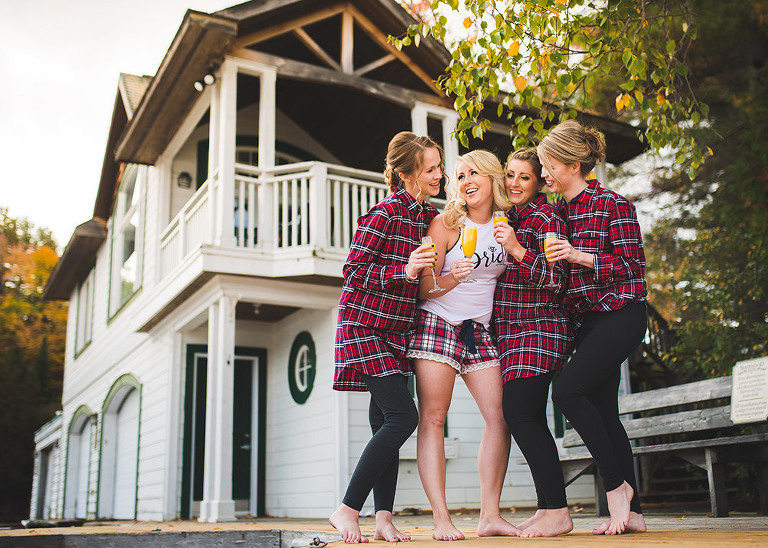 Pro Tip: Girls book the boathouse to get ready the morning of your wedding and send the fellas next door to the Pinewood East Cottage. Why? From my purely nerdy photographer-viewpoint… lighting. The boathouse is overflowing with beautiful light flooding in through the large windows. There’s also plenty of room for you and your girls while you get ready. It’s in a private area with its own docks and plenty of beautiful options for photos. For the guys, they’re basically counting down the minutes until I leave and let them get back to their beer. Pinewood East cottage is large and has a large deck overlooking the lake where we’re able to get some nice photos of the fellas in a relaxed setting. There’s also another dock right next to Pinewood for more photo-potential. The Sherwood Inn boathouse, a favourite of mine to shoot. Since these two cottages are quite close to one another, some precautions need to be taken to avoid any accidental sightings of one another. However, Sherwood Inn is heavily speckled with big beautiful trees to make such accidents unlikely. The benefit of this closeness, is the ease as which we can set up a private First Look photo session before the ceremony if that’s what you choose to do. Both cottages offer plenty of space and photo opportunities while also keeping you away from your guests while you prep for your day. 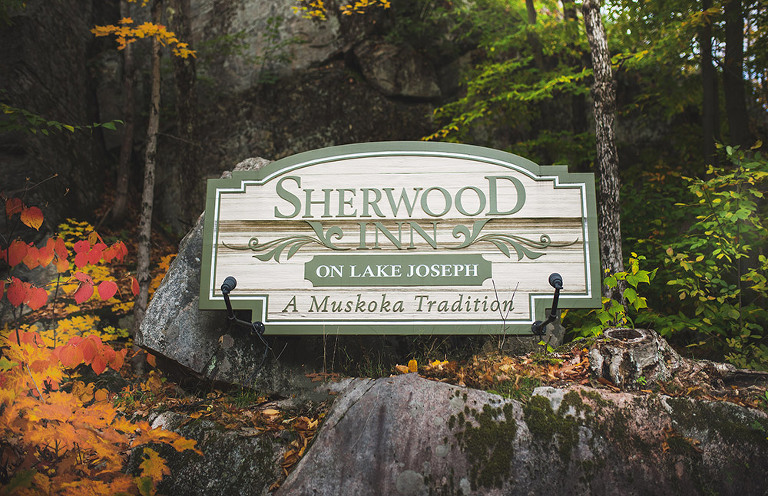 I’m clearly a fan of Sherwood Inn and their staff – I’ve been there in summer, winter and now autumn and each time I find more and more killer spots to shoot. Michael and I left our mutual friend’s house, and then simultaneously called each other to say we didn’t actually ‘need’ to leave but wanted to. We decided to meet back up and go on a spontaneous hike at a park in Burlington. After our hike we sat in the trunk of his little white Mazda 3 where we barely fit because of he sub-woofers in the back and talked for a couple hours until I got cold ( I was 19 and he was 20) lol. Then we went to Roger’s Video and rented a movie and went back to mom’s house and watched it in the basement. After our movie we stayed up all night talking until we both had to leave for work. Kate-Lynn: I knew Michael was the one two months into our relationship, we had so much in common and so much fun together. The relationship was easy, we were like best friends that had known each other for years. Years have gone by, and here we are still goofing around like children – having the times of our lives. Mike: Kate and I are so alike, everything was just easy, that’s when I knew. We never tried to change each other – if anything we embrace one another’s weirdness. Wedding ceremony photo on the waterfront at Sherwood Inn. Michael attempted a couple times to purpose to me at one of my favourite childhood spots called Dundas Peak – a point that overlooks the entire town where I grew up. Sadly, I sabotaged each and every time he tried to arrange it. So as the anxiety built up he decided to stop trying to plan, and go with the flow on an evening walk with our dogs. We were on a path in the park when he got down on one knee and asked me to marry him. My response… “are you f***ing kidding me!” We had so much on the go, and were tight on money – it was the last thing I was ever expecting but I was so excited for our new beginning. Kate-Lynn: A most memorable moment of our wedding, I don’t think I can chose. I loved our first look – the anticipation of his reaction was killing me. I cried. I also was so excited to surprise everyone with our first dance – which was a total success! Mike: Our first look, it was like the proposal all over again, as I stood there with my back turned waiting on Kate as the anxiety built. It was a great experience, I was so happy. Don’t stress the small things, go with the flow, and just let the day play out. I think the one thing that helped huge was hiring professionals! Go with the flow, things always go wrong. WHAT MADE THEM CHOOSE SHERWOOD INN FOR THEIR WEDDING? We wanted a destination wedding, but with Mike’s elderly grandparents we didn’t want to risk them not being able to attend. 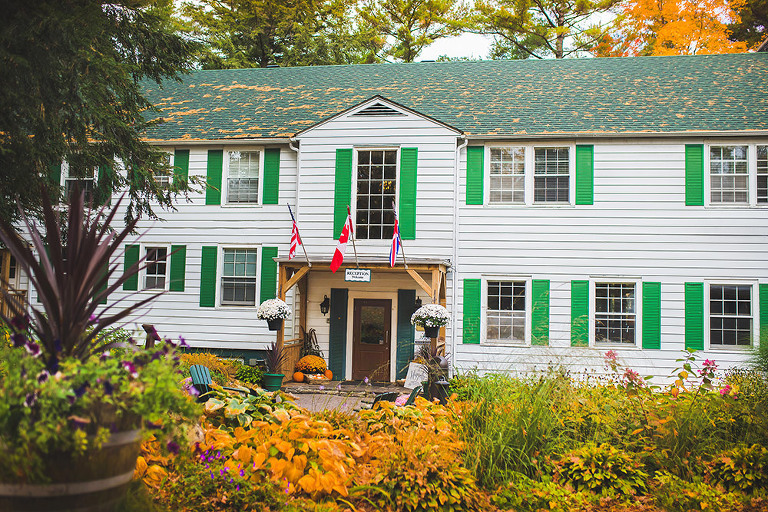 Through research we stumbled upon Sherwood Inn, and we’re so thankful we did. 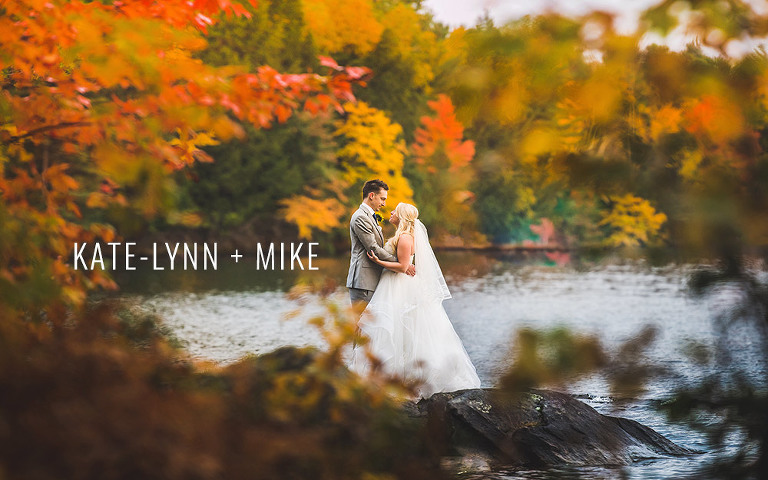 When we visited, it felt like you were at your own resort in this gorgeous Muskoka setting. At that moment we got very exited envisioning our two families around a bonfire socializing, and parting the night away. We can’t wait to go back in the winter… and next summer. The place is just gorgeous.